OpSource Cloud is an enterprise-class Infrastructure-as-a-Service cloud backed by the reliability and performance of VMware vSphere. It’s a bulletproof environment that is suitable for virtually any workload, offering a 100% uptime SLA and guaranteed sub-millisecond network latency. This infrastructure cloud runs on the latest release of vSphere and also offers the ability to import and export ESX virtual machines in OVF format for easy transfer of workloads from your own VMware private cloud. OpSource Cloud competes effectively with other public IaaS clouds and was positioned as a “Challenger” in the 2010 Gartner Magic Quadrant. Treb Ryan, the CEO, co-founded the company back in 2002. 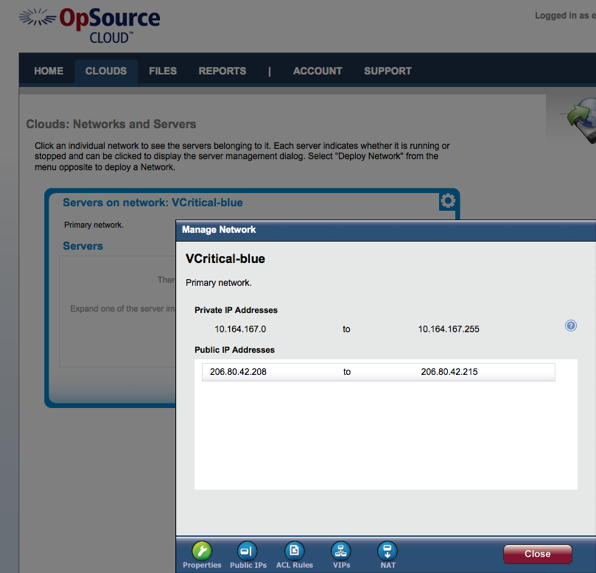 I’ve recently had the opportunity to take the OpSource Cloud for a test drive and found it very easy to use. Getting started was simple, and in no time at all I was deploying a network of virtual Windows and Linux machines to do my bidding. This week I will be publishing a series of articles documenting my experience with the OpSource Cloud. You may like to subscribe to the VCritical RSS feed or follow along on Facebook. After deploying a network, you are ready to spin up some virtual machines. OpSource provides a variety of Linux and Windows images in various CPU and RAM configurations. I found the Red Hat image to be well-configured and a great starting point for production workloads — it is not a kitchen sink install; compilers and other unnecessary packages are not included by default. Having said that, the OpSource knowledge base has very clear instructions on using package management tools, which are fully configured for use in the template, to quickly add gcc or other optional features as necessary. 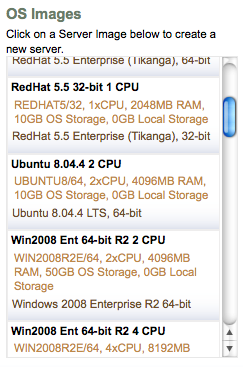 Interestingly, all VMs are offered at the same hourly rate — there is no additional fee for Windows VMs. 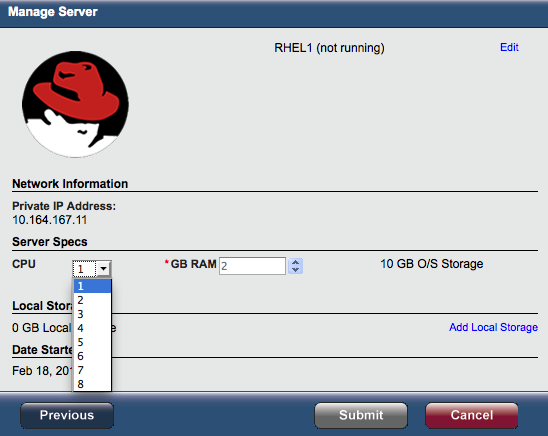 Customers are free to choose genuine Red Hat or CentOS for the same price as well. CPU, RAM, and storage are priced per hour, and discounted bundles are available. For example, $79/month gets you a healthy 2GB instance with 80GB of persistent storage. OpSource doesn’t appear to offer ephemeral storage like EC2 — shut down your instance and the data remains intact. Hey, it’s vSphere! There are plenty of public IaaS clouds to choose from today. While Amazon EC2 is the best-known, a cloud like OpSource that is based on VMware vSphere is certainly worth considering for compatibility and SLA advantages.